ABS-CBN News has a new addition to its growing team of reporters. 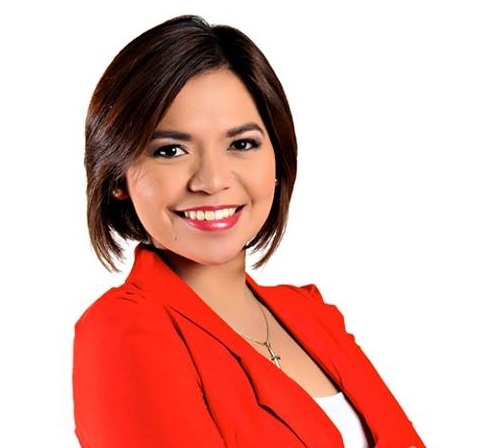 Isay Reyes, formerly an on-air talent of GMA News, has been named news reporter for the Kapamilya news division, assigned to cover the police beat and general assignment stories. "It was dreamlike at first because when I left, I didn't know when and if I will ever be back to reporting," Reyes said of her first day as a Kapamilya reporter. "But after being deployed to Southern Police District to go on roving and look for my story, I knew I was back to my first love and my mission field." Reyes, who quietly exited the Kapuso news division in August of 2016, said her decision to leave was "to give myself room for growth and explore other opportunities outside the network." "Still very thankful and grateful to GMA because they trained me with all the skills that I have now. They opened me up to the world and if not for them, I wouldn't be the journalist that I am now," she said. During her TV hiatus, Reyes started an online advocacy called Pinoy Good News, a Facebook page which focuses on all things good about being a Filipino. "I thought I was done with what I considered one of my missions in life — being a reporter — but my heart called me back. When I left, I planned on and started this. We were a small group of people that produced and shared short good news and feel good stories about the Filipinos and published them on social media." Asked about what she wants to accomplish at ABS-CBN, which over the past year recruited ex-Kapuso talents such as Sherrie Ann Torres and Jervis Manahan, Reyes said she's looking forward to grow as a reporter. "The Kapamilya Network is very supportive and respectful of their reporters' interests and expertise. Depends on what grips our hearts, they are known to give liberty to their people in doing stories," Reyes said, adding that she's very interested to learn from the network's in-house program, ABS-CBN University. "Knowing that a company wants their employees to grow and learn some more are reasons great enough for me to look forward to my life here," she said.